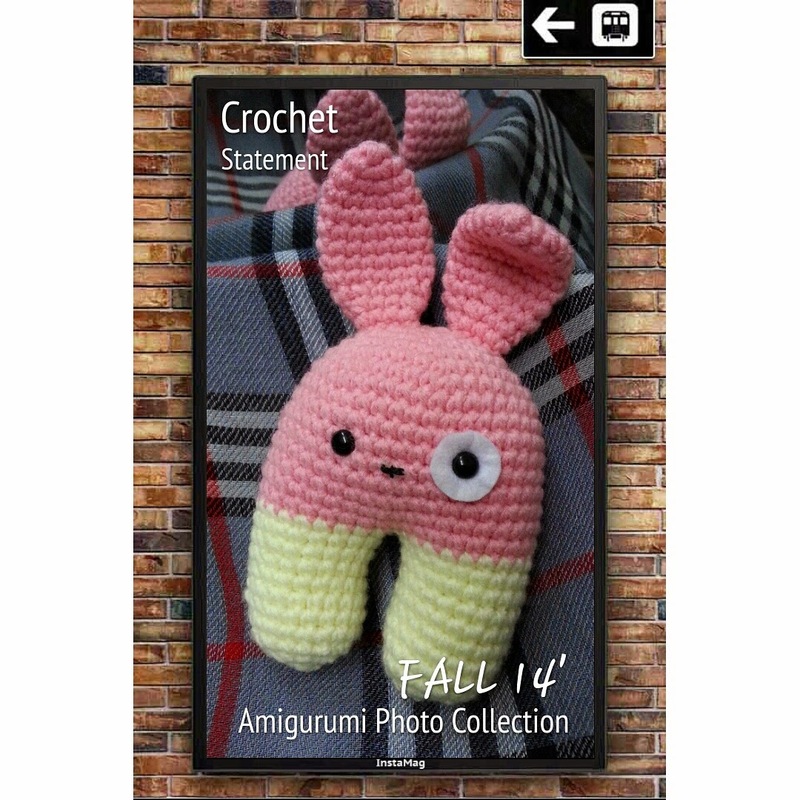 This crochet Bunny is special order from a mother for her 12 months Baby. Gauze is not important – just maintain a consistent tension throughout the entire project. “The Magic Circle” is used to start each piece. Alternative technique: ch 2, then sc x6 into the second chain away from the hook. Slip stitch to join the round. This creates Round 1. Round 13: Leave a 6” tail for sewing. *Sew the Bunny Ears between Round 2 to Round 5 both sides. **Insert the Plastic Safety Eyes between Round 11 & Round 12 and attach washers. Eyes should be about 7 sts apart. One of the Plastic Safety Eyes attach with White colour felt. ***Sew the T shape Nose in Round 12 and between the eyes. Separate 42 sts to 21 sts each, use yellow colour yarn to continue the legs part. Round 28: Fasten off and leave a 6” tail for sewing.